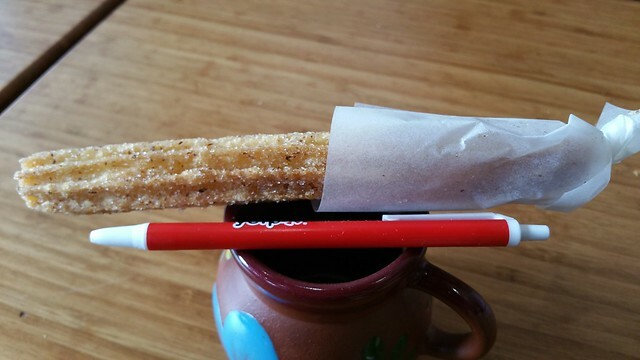 For $2.25 you can get a straight stick of churro, and for a buck more you can get a scoop of ice cream to go with it. 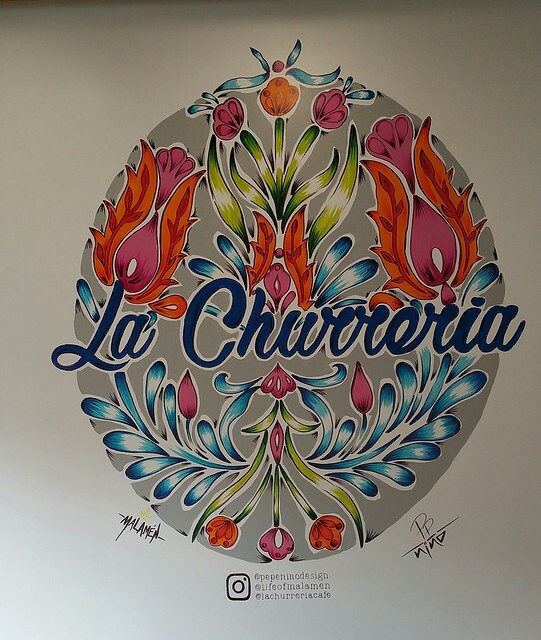 Sounds expensive, and when the portion comes it looks expensive too, but people will pay $5 for a single scoop of ice cream, so it's hard to discuss price when the dessert market is spendy. 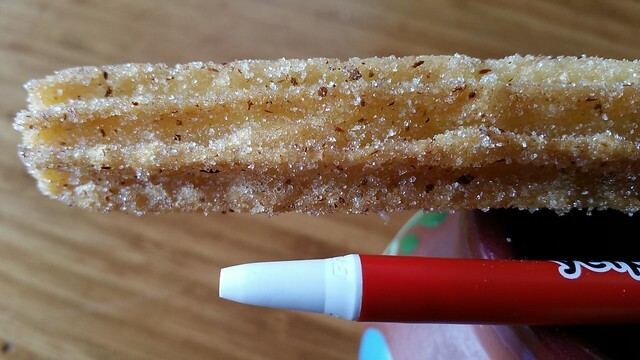 I got the "plain" churro, which is coated in sugar and somewhere in there is cinnamon. 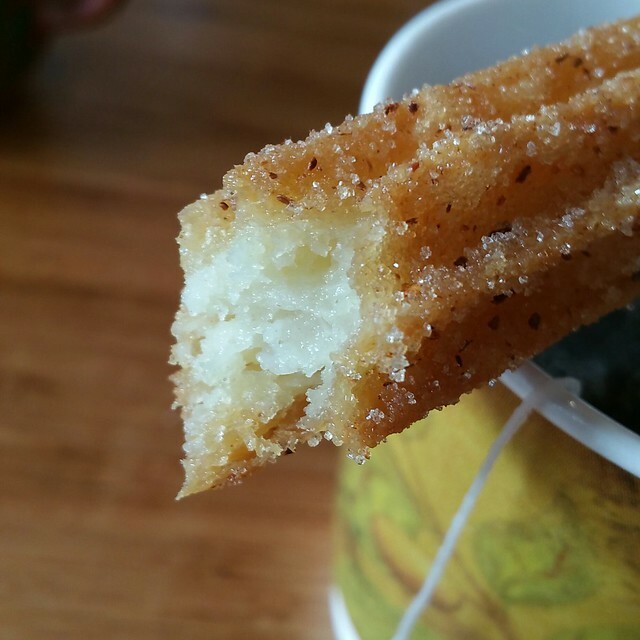 It tastes okay and as churros go, it's completely fine just like this. And seriously, what do you want? It's a dough of flour, water, and salt deep fried till crispy. 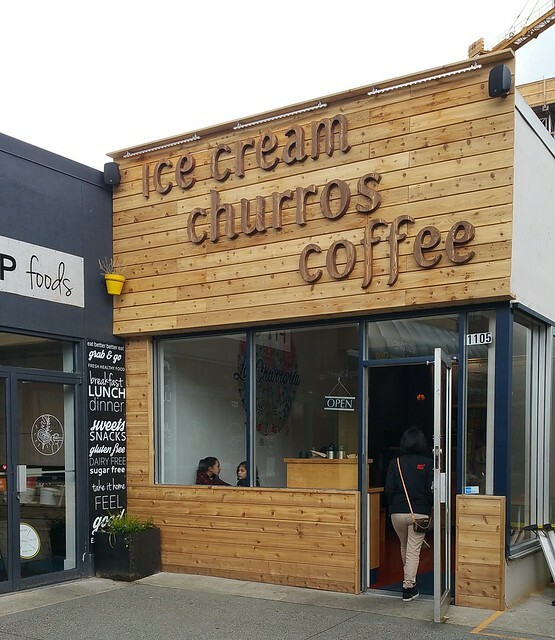 You're paying for the novelty, plus a premium for being in a neighbourhood where it's hard to find and maybe a bit of a walk to the nearest churro competitor.